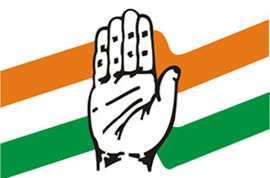 Congress on Monday announced a slew of populist measures including sops to farmers, students, unemployed youths, minorities, raising subsidised LPG cylinders from 9 to 12 and constitution of Vidhan Parishad in its manifesto for the Madhya Pradesh Assembly elections. Targeting farmers and poor, party’s manifesto committee chairman Suresh Pachouri, after releasing it, told reporters that Congress government will provide free power to water pumps up to five horse power and will take back false cases of power theft against them. For poor families, the Congress promised to provide 35 kg ration per family per month free of cost, he said. It will also provide free of cost single-point power connection to the people living under the BPL category. The party has also promised to waive farmers loan up to Rs 51,000 taken by them from Cooperative and Land Development Banks. Knowing fully that cap on LPG cylinders has not gone down well with the people, the Congress has announced to provide additional three more subsidised cylinders to them from the existing nine and also promised to reduce VAT on petrol, diesel and LPG in the state to bring down fuel prices which was a major issue in the state. The party has also promised to fulfil long-pending demand of creating Vidhan Parishad (Legislative Council) in the state, which it had also promised in 1993 with an aim to meet the aspirations of large number of leaders in the state. Targeting poverty on the lines of Indira Gandhi’s Garibi Hatao slogan, the party has promised to constitute “Indira Gandhi Garibi Hatao” Commission by nominating maximum members in it from poor category only, he added.